Each 50 states of the U.S. are under national and federal regulations. It is not uncommon that states have different regulations from others. This is exactly what happens in the state of California, especially, when it comes to cosmetic products. In addition to the Food and Drug Administration (FDA) regulations, California as its own rules that all businesses selling in this state must follow. Most of those regulations concerns product safety for consumers with more specification and control in California than in any other states. The California Safe Cosmetics Act, Proposition 65, CARB, COPA or more recently the California Cruelty-Free Cosmetics Act are regulations that only apply in California and that have influenced other states to take actions. 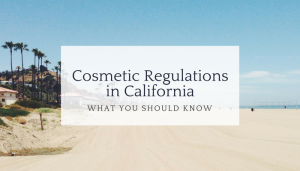 Here are few acts and regulations that are specific to California and needs to be followed when commercializing any cosmetic product in that state. Current FDA regulations do not include mandatory safety testing of any cosmetic products sold in the U.S. They do not have the authority to approve a product before its launch on the market and can only make random audits. In California, it is the same as no safety testing are required before products go on the market but each raw material needs to be safe for consumers. Thanks to the Sherman Food, Drug, and Cosmetic Law (also known as the “Sherman Law), the California Department of Public Health through the Food and Drugs Branch have full authority over cosmetics, drugs and foods. In other words, California, can decide of any regulations and rules that apply to cosmetic products. Since then, few regulations have been introduced to insure consumers’ safety and transparency when it comes to product ingredients. First published in 1986, Proposition 65 list first goal is to protect drinking water sources from toxic substances that may cause cancer, birth defects or other reproductive harm and overall to reduce exposures to harmful chemicals. Over the years, it has become a resource to increase consumer safety towards any chemicals identified in products, “no person in the course of doing business shall knowingly and intentionally expose any individual to a chemical known to the state to cause cancer or reproductive toxicity without first giving clear and reasonable warning to such individual”. The list contains information on the substance, type of toxicity, listed date, the safe harbor level – level of hazardousness, CAS number, etc. The warning should be easily understandable, readable and prominently placed. In addition to the Prop 65, in 2005, California release its Safe Cosmetic Act and became the first state to pass a legislation around safety and reporting cosmetic ingredients. The program aims to protect consumers and promote the safe manufacture of cosmetic products. 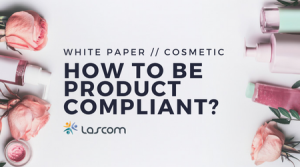 It requires manufacturer, packer or distributor, with at least $1 million annual revenue, to identify any cosmetics products that contains ingredient known to be potentially harmful or harmful to consumers – e.g. ingredients that could cause cancer, birth defects, etc. They also have to report ingredients concentration within the product and continuously update the report in the case of any change. Hazardous and potentially hazardous ingredients are identified within a list of chemical ingredients including chemicals listed under California’s Proposition 65 as well as those listed by the U.S. Environmental Protection Agency (EPA), the Center for Evaluation of Risk to Human Reproduction (CERHR) and the International Agency for Research on Cancer (IARC). Created in 1967, the CARB is the Californian air-cleaning agency – and this is the only state that has its own as the Clean Air Act regulates the rest of the country. Main goals of this agency are to protect the public from the harmful effects of air pollutions and developing programs to fight climate change. It concerns any type of air pollution, from vehicles emissions to cosmetic products. Cosmetic products’ air pollution is becoming a real concern for the CARB and are under their radar more and more efforts to regulate them. In order to reduce VOC emissions they have set VOC limits (percent by weight) for a variety of products including hairsprays, fragrances or nail care. Any of these products should not exceed applicable limit. The National Organic Program (NOP) under the Organic Foods Production Act regulates nationwide, organic products. A set of rules and conditions have been established in order to determine if a product is organic or not. The NOP, only concerns food and beverage products and nothing has been set nationally to regulate cosmetics. That is why, California, has launched, in 2003, the COPA. In alignment with the NOP, it does not only concerns food but also cosmetic products. It requires that cosmetic products sold as organic contain at least 70% of organically produced ingredients. Californian state, also considers that any product that follows the NOP regulations with proofs can be sold as organic. More recently, in February 2018, California has introduced the Cruelty-Free Cosmetics Act, SB 1249 to ban animal testing on cosmetic products. After January 2020, cosmetic manufacturers will not be able to sell or import any final product or any component of the product that have been tested on animals. California was already, in 2000, the first state to encourage manufacturers to avoid animal testing, as since then it is illegal to use animal testing when an appropriate alternative method is available. In 2013, it was the turn to the European Union to prohibit importation and selling of cosmetic products that been tested on animals. 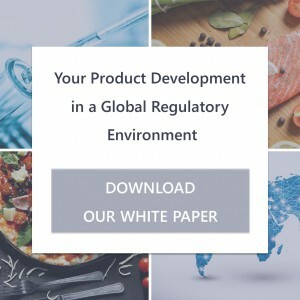 It is difficult to follow and track on each country and state specific regulations and when you know them collecting information from suppliers and internal departments can become a nightmare. 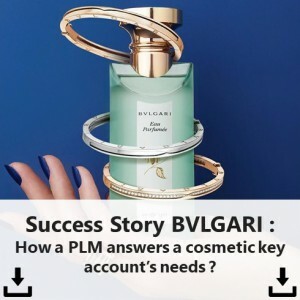 Lascom PLM offers you the possibility to centralize all product information from all of your suppliers but also from internal departments. It will then become easy to retrieve the information needed and constitute any required dossiers. 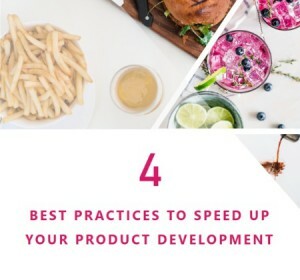 In addition, all prohibited ingredients from each country and state are listed within the solution so that it’s almost impossible to make an error when formulating your cosmetic product. Share the post "Cosmetic Regulations in California: What You Should Know"
I have a hair product I would like to market. What is the next step to make sure it’s hypoallergenic, and safe for the hair? First you need to make sure that all ingredients you have used are not banned or restricted – see Proposition 65 list and Safe Consumer Act List. Then your product should be tested to make sure it is safe to use for consumers. You can use external laboratories and experts for that – stability test, toxicology test, etc. They will provide you the right documents and analysis. If it is an hairspray you also need to make sure that it respects the CARB regulation. You also need to be careful with any color additive as it is not regulated the same way, it needs to be pre approved by the FDA before being commercialized in the U.S.
Hope it has answered your question.